The base variant can accelerate from 0-100 km in just 9.7 seconds. Hat tip to hyundaifanclub on Instagram for sharing these spy shots. Hyundai India recently announced that its first electric vehicle for India will be the Kona compact crossover which is slated to be launched in mid-2019. The car has been spotted on Indian roads for the first time, and too without any camouflage. 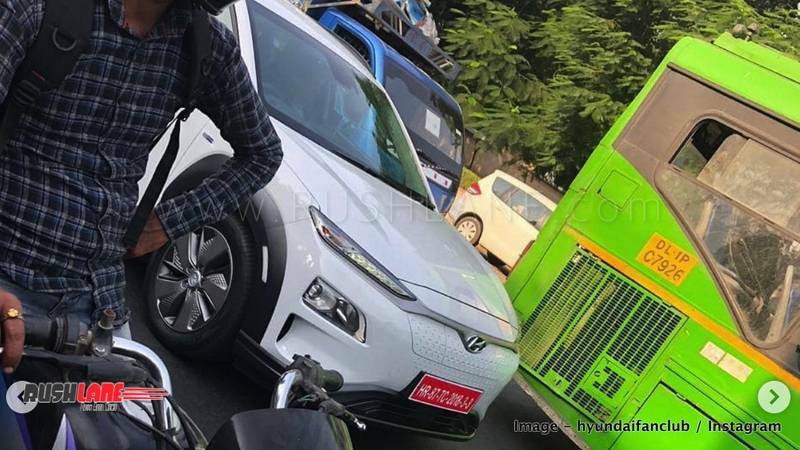 The Hyundai Kona electric would be positioned as a lifestyle product and would target a niche of audience who wish to make a statement by driving an electric car. Visually, compared to its IC-engined counterpart (which is not likely to be sold in India), the Kona electric eschews traditional radiator grille upfront and exhaust pipes at the rear. The crossover which has won the internationally coveted Red Dot design award has a quirky appeal that is sure to stand out in the crowd. Both front and rear fascias accommodate multiple lights. The Kona sports right dimensions for an urban SUV and looks proportionate from every angle. Inside, the electric crossover packs HUD display, digital instrument console and a 7.0-inch touchscreen infotainment system. The dashboard layout is simple and nearly vertical to ease up more room. 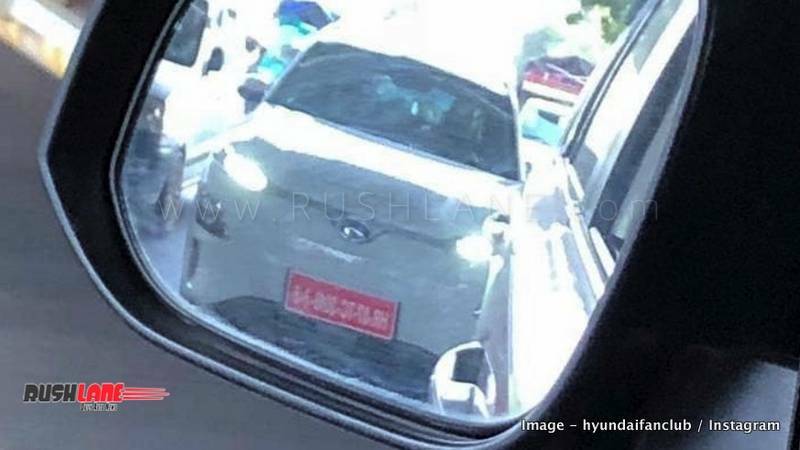 In the international markets, the base version of Hyundai Kona electric is powered by a permanent magnet synchronous motor which is supported by a 39 kWh battery pack that has rated power and torque outputs of 136 PS and 395 Nm of torque respectively. The top-end variant gets a more powerful 204 PS motor and a 64 kWh battery. We expected the India-spec model to come with the 39 kWh battery which has a range of 312 km (under new WLTP cycle). This variant is claimed to accelerate from 0-100 kmph in just 9.7 seconds. The lithium polymer battery takes 6 hours and 10 mins to get fully charged through a standard AC socket. With a 100 kW DC fast charger, 80% of charge can be achieved in 54 minutes. The car comes with an on board charger which takes up a bit of boot space. The Hyundai Kona electric would be locally assembled in India to keep the price tag within the Rs 25 lakh mark. 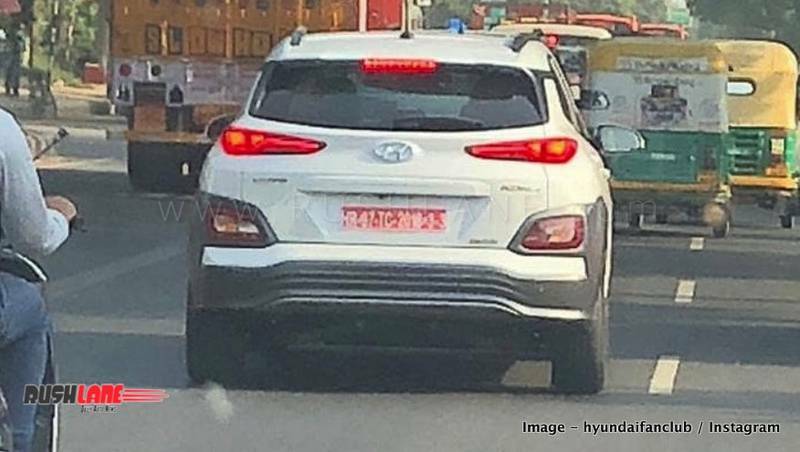 Hyundai India won’t be having aggressive sales target for its pure electric SUV. 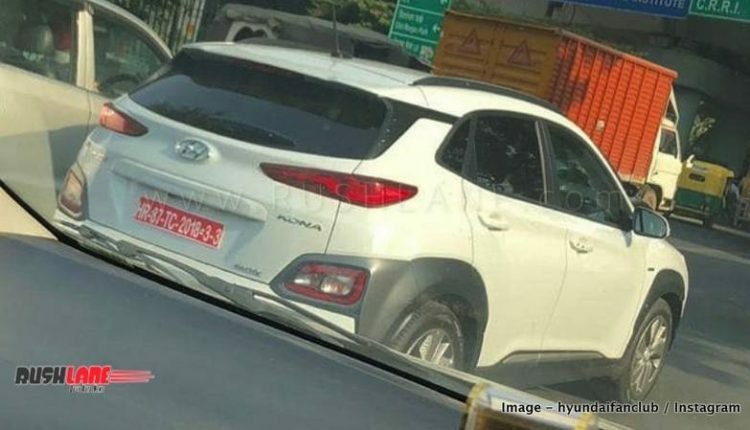 Hyundai Kona EV spied on test in India. Hyundai Kona on test in India.